Located in a quaint cul-de-sac, this charming traditional in the sought-after North San Gabriel neighborhood is a stone's throw from the Wilson Elementary, a California distinguished school. Upon entering, one is greeted by handsome engineered wood floors that set an elegant tone throughout the house. A spacious living room is anchored by an impressive corner brick fireplace & features a large window with plantation shutters that overlooks the picturesque front yard. The connecting dining room boasts a large sliding door with striking plantation shutters that leads to a classic brick patio and the serene backyard. The dining room adjoins the tastefully updated kitchen with stainless steel appliances, and access to an attached finished garage. The comfortable master bedroom includes a custom closet, a wall to wall carpet, and an updated bathroom with granite counters, a semi frameless shower door & rain shower head. The two additional roomy bedrooms are serviced by a remodeled hall bath featuring a shower over tub, newer vanity cabinets with granite countertop & convenient linen closet. Other amenities include copper plumbing, central heating & A/C systems, dual pane windows, and recessed lighting throughout. Lot Size: 0.14 Acres / 5908 Sq. Ft.
SchoolsClick map icons below to view information for schools near 8324 Sheffield Road San Gabriel, CA 91775. Listing provided courtesy of Janice Lee, Berkshire Hathaway Homeservices California Properties. 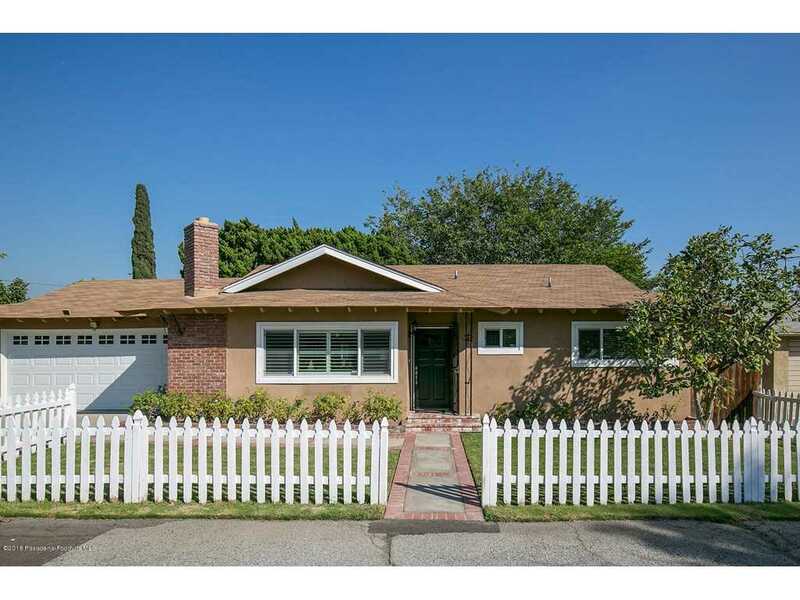 Home for sale at 8324 Sheffield Road San Gabriel, CA 91775. Description: The home at 8324 Sheffield Road San Gabriel, CA 91775 with the MLS Number 818005326 is currently listed at $725,000 and has been on the San Gabriel market for 172 days. You are viewing the MLS property details of the home for sale at 8324 Sheffield Road San Gabriel, CA 91775, which includes 3 bedrooms, 2 bathrooms and has approximately 1370 sq.ft. of living area.